Open the Backup Infrastructure view, in the inventory pane select the Backup Repositories node and click Add Repository on the ribbon. In the Add Backup Repository dialog, select Object Storage > S3 Compatible. Open the Backup Infrastructure view, in the inventory pane right-click the Backup Repositories node and select Add Backup Repository. 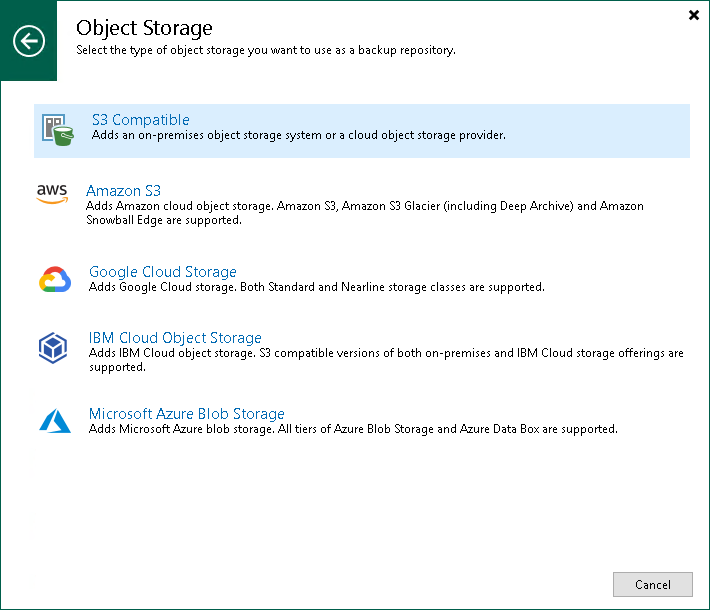 In the Add Backup Repository dialog, select Object Storage > S3 Compatible.